"Most Nigerian pop stars adopt or acquire titles like King, Sir, Lord, Cardinal, etc, but the great Celestine Ukwu was happy to be a humble Professor and his band had the poetic name of the Philosophers. Ukwu began his career in the 1960s in Enugu, capital of the Eastern Region of Nigeria under Mike Ejeagha. He moved back to Onitsha where he formed the Music Royals, but the Biafran war put an end to their career in 1967. After the war he resurrected the band in the early 70s as the Philosophers National. 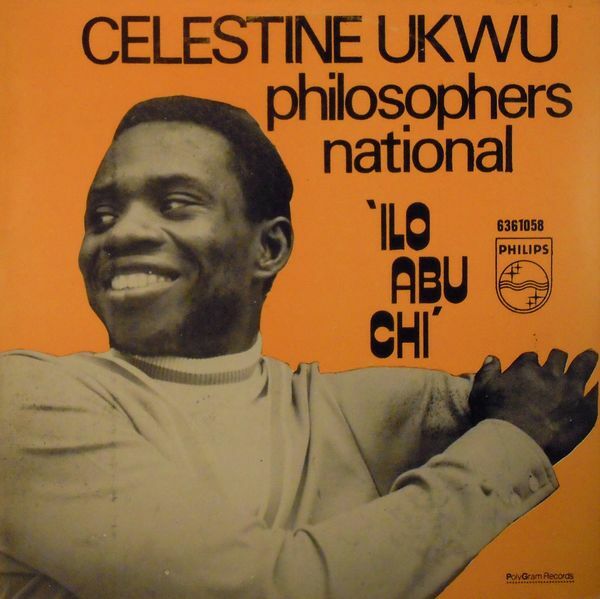 Tragically Celestine Ukwu died in a car crash on 8 May 1977, not yet forty. ..."